Perhaps the PB should remember her history and how “shadows” have turned out in the past, especially for James II who tried to install shadows as well. In fact, my Virginia French Huguenot ancestors fought for King William against this guy and were rewarded with land grants in the Commonwealth. Yeah, we Virginians have long memories. Read Dan Martin’s interesting post (and the comments) on the 815 strategy to setup a “shadow” diocese (and just how are they funding that on top of everything else?) in Fresno. Meanwhile, we are toasting Jean Pierre Bondurant here at the cafe, part of a cadre of shadow fighters who founded Manakin Town and one of our Virginia ancestors. Note especially in Dan’s post of the letter to Bishop John W. Howe. C’est la guerre? 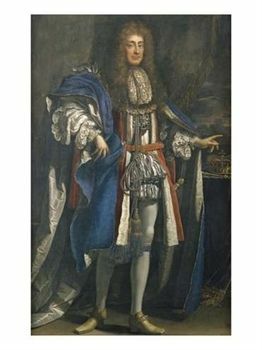 The Stuarts were not a great success with the possible exception of the Queens Mary, wife of William and Anne, a pious and generous lady.Louis XIV’s persecution and expulsion of the protestant Huguenots was our gain in builders, silk weavers, bankers and silversmiths and arguably what kick-started the industrial revolution. “Shadows” are merely a reflection of the ambitions of those who create them. Sauls created a shadow parish in Lexington after the people of Holy Apostles left to the Church of Uganda. His son was one of the first vestry members. The parish was called St. Marthas, fitting as she was chastized by our Lord for clinging to the lesser thing. Frank Lockwood reported at his Bible Belt Blogger that Sauls was booed by some in the congregation when he visited and preached on a text about heterosexual marriage. Can you really say of the Stuarts that they “were not a great success”, Pageantmaster, when they were responsible, one way or another, for the establishment of all but one of the original thirteen colonies (Raleigh’s Virginia don’t count; NY is named in honor of James II/VII), not to mention responsibility for the exodus of Highland Scots to the Carolinas after the failure of the ’45 rebellion.And let’s not forget a translation of the Bible named for the celebrated ephebophile James I/VI. Wacky Wabbit – for the establishment of the original 13 colonies we must be grateful.There was a strain of dissipation which ran through many of the Stuarts including James I/VI although on balance he was not a bad king; Charles I was hard to support, and that was the verdict of one of his own side and he brought us the chaos of the Civil war, the sacking of the Cathedrals and the joys of government by the Puritans; both he and his son Charles II were suspected of RC sympathies and of course James II would have converted us back to Rome if it were not for BB’s forbears. Bonnie Prince Charlie promised much and remains a romantic figure but again ended a dissolute and disappointed drunkard.However the last Stuart, Queen Anne supported churches and hospitals in England and the church trusts she established, known as Queen Anne’s bounty still do so.For the exodus from Scotland we must probably thank the Hanoverians.